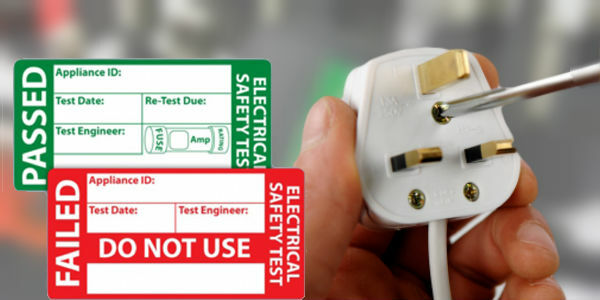 “Portable Appliance Testing” more commonly known as a PAT test is an inspection in the UK (as well as Northern Ireland, New Zealand and Australia) in which electrical appliances are checked for safety. The Testing encompasses a visual inspection of the equipment including any flexible wires or cables to determine their condition. Also, when necessary verification of Grounding (earth-wire) continuity and a test of the status of the insulation between parts carrying current and any metal that is exposed that could potentially be touched. The Appliances British Law requires that all electrical systems including electrical appliances are maintained to prevent danger. Health and Safety regulations require that electrical devices are safe and are properly managed to ensure the prevention of harm to employees. The HSE (Health and safety executive) and the local authority are the ones who enforce this legislation. Not every electrical appliance will need to be PAT tested. In some cases, a simple user check and visual inspection are enough, e.g. checking for loose cables or signs of fire damage and, if possible, checking inside the plug for internal damage, bare wires and the correct fuse. Among the appliances that will need to be tested are your dishwasher or glasswasher, which you might not expect. These machines pose as much of a potential fire hazard as other commercial kitchen appliances. In conjunction with national, government figures 2011-2014 showed that dishwashers are 11% more likely to cause a fire through faulty electrics than any other appliance in a kitchen “Which? Report on 14th June 2015”. Your machine or machines will be subjected to visual inspection including testing of the wires, polarity checks and the insulation of current carrying parts. Items that fail testing will need to be removed from service with immediate effect, or they are adorned with a red label indicating fail though this method is not a legal practice. PAT testing service providers, however, must make sure they use the right testing equipment; tests and test conditions most suited to the type of appliance being tested. It is also their responsibility to get testing equipment calibrated and cleared for the job at hand. Ensure employees are routinely checking appliances for visible wear, damage and the exposed elements. Ensure all portable equipment is routinely tested at monthly intervals dependant on the type of equipment. Ensure that any damaged or faulty equipment is removed with immediate effect and either repaired by an individual competent (i.e. with the necessary skills and qualifications required) or disposed of to prevent a potential hazard to employees and the business. Carry out visual inspections of all your systems and appliances, ideally by someone who has sufficient knowledge to identify potential damage and prevent danger.